It must be a rollercoaster ride working for GM in the UK at the moment. On the one hand, staff must be scanning the financial pages to see if the parent company in the US has gone bankrupt yet, while on the other hand they are celebrating the Insignia being named European Car of the Year. It’s quite a contrast in emotions – down in the dumps one minute, high as a kite the next. The truth is, the timing couldn’t be worse. 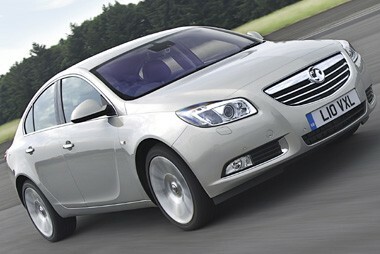 Vauxhall is proudly rolling out the Insignia into showrooms in the next few weeks, yet the cloud of doom hangs heavy. Which is a real shame as the Insignia is a fine car that deserves success in the fleet market. It is a whole different proposition to the Vectra it replaces, bringing curves, panache and desirability in place of the Vectra’s prosaic proposition of cost-effectiveness and durability. Bigger all-round than the Vectra, and longer than the Ford Mondeo, the Insignia is currently being offered in saloon and hatchback guises, with a very stylish estate version coming on track in the next couple of months. The model on test here is the hatchback in Exclusiv trim, a spec level initially introduced to cater for the fleet market. This brings some metallic inserts to lift the black dashboard, centre console and doors, climate and cruise control and some ambient interior lighting which gives the cabin a cosy feel for night-time driving. There’s a general feeling of solidity in the cabin, with fit and finish and materials used of high quality. The large centre console also looks impressive, sitting proud of the dashboard and, even in lower Exclusiv trim, festooned with buttons so that even a driver of a cheaper model won’t feel short-changed by blanks to remind him his allowance won’t stretch to a top-spec model. Under the bonnet is a 130bhp diesel (a 160bhp version is also offered), which is pretty much on the money for the class in terms of power, economy and emissions, but offers nothing exceptional. At start-up it is noisy, although thankfully this becomes much more suppressed when you’re on the move. And it is once you’re up to speed that the Insignia reveals its real talents. As a place to rack up the miles it is very good, blending a relaxed engine nature with supple suspension which rides road imperfections well. The steering and gearbox actions are light and easy, yet there’s still a hint of dynamism for when you’re not on major roads. As an all-round proposition, the Insignia ticks the boxes – stylish, well equipped, strong on quality and long-distance comfort. The Vauxhall in fleet-specific Exclusiv trim undercuts the base Mondeo by £585 and comes well equipped with cruise and climate control. The Mondeo offers cruise control, but steel wheels and air-conditioning. The Volkswagen is in entry-level S specification. Just £7 a month separates the cheapest from the most expensive. For a 20% taxpayer, the Mondeo will cost £57 a month in benefit-in-kind tax, compared to £58 a month in the Insignia, £61 a month in the Volkswagen and £64 a month for the Renault. With variable servicing intervals and 16-inch wheels, the Volkswagen is the cheapest for service, maintenance and repair. The Mondeo is close behind – it needs servicing every 12,500 miles but keeps tyre costs down thanks to 16-inch wheels. The Vauxhall’s 17-inch wheels mean higher tyre costs. The Mondeo has the edge in fuel costs, with Ford claiming it will return an average 50.4mpg, which equates to a diesel spend of £6,846 over 60,000 miles. The Vauxhall and Volkswagen (48.7mpg) will cost £150 more over that period. The Renault returns a claimed 47.1mpg. 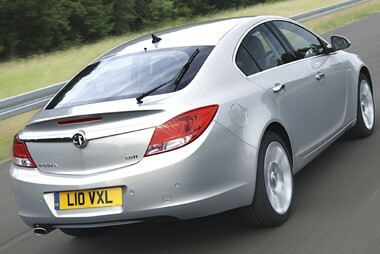 CAP predicts the Vauxhall will be worth the most money after three years and 60,000 miles (£5,925, or 35% of cost new). The Passat is next at £5,750 (33%), while the Mondeo will be worth £5,425 (31%). The Laguna languishes in fourth, worth £4,800 or a lowly 27% of cost new. Despite being the most expensive in SMR terms, the Vauxhall fights back with a strong showing on fuel costs and a sector-leading depreciation score. It undercuts the Passat by £200 over three years and 60,000 miles, the Mondeo by £540 and the Renault by around £1,100. The Renault is the most expensive in terms of driver taxation, and is also the most expensive car to run, which means it is the first to be discounted. The Mondeo follows – its running costs are nearly one pence per mile more than the Insignia, which is a significant amount in this volume market, although it offers the lowest company car tax bills. The Passat remains a tempting proposition, although in entry-level S trim it is not as well equipped as the Vauxhall. Which leaves the Insignia as the winner. Its BIK bill is the second cheapest here, it costs the least for a fleet to run and offers drivers a well-rounded option in a sector where having the latest model is key.